Sign Up for My Newsletter and Get This Book Free! My email newsletter keeps friends informed about my book projects. I share work in progress, solicit reader input, offer early-bird pricing on new titles, and sometimes even offer publications for free. The free newsletter appears every few weeks. There's no obligation. You can unsubscribe at any time, and I won't share your email or name with anyone. 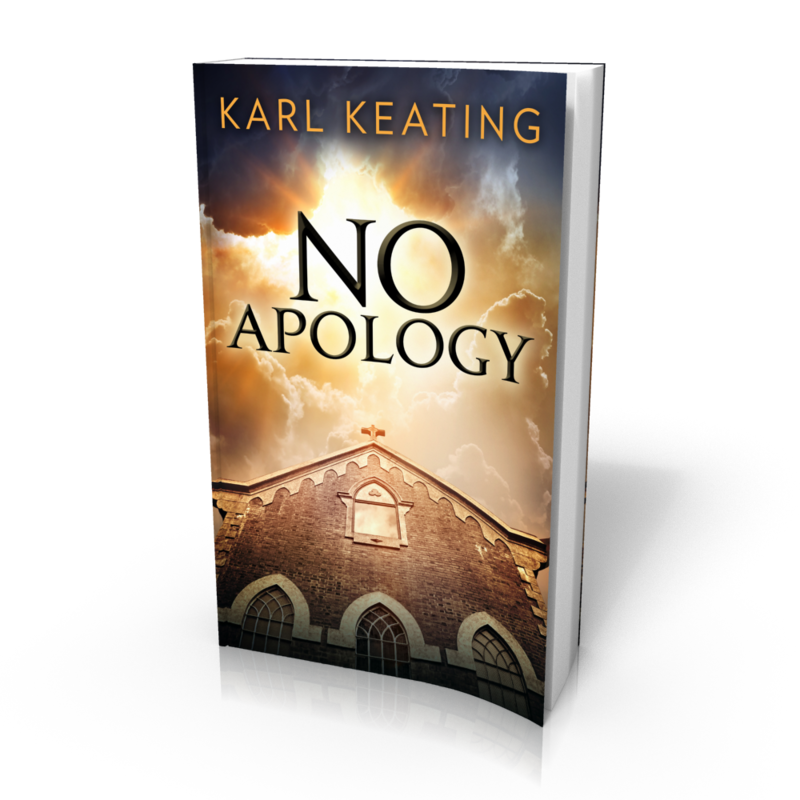 As a thank-you for when you subscribe, I offer a digital* copy of No Apology. In it I write about how to do apologetics and how not to. I defend the very idea of apologetics against a theologian who thinks apologetics is passé. I look at how the Faith is promoted through beauty and through suffering. I take you from my own backyard to such distant times and places as fifth-century Jerusalem and sixteenth-century Japan. 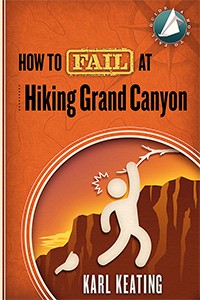 My How to Fail at Hiking series will be four books, plus a fifth omnibus volume. The series will consist of How to Fail at Backpacking (the introductory book), How to Fail at Hiking Mt. Whitney (already published), How to Fail at Hiking Yosemite, and How to Fail at Hiking Grand Canyon. I'm working on that last title now, after a long surcease. I'm editing a harrowing story of a hike on which one of my hiking companions almost became a statistic. It's one of those "Kids, don't do this at home" tales. I still have several chapters to write about hiking in Grand Canyon. When I finish them, I'll turn to the first book in the series, which gives general advice about how not to flub a backpacking trip. I'm half done with that book, so it shouldn't take long to finish up. Then comes the third book in the series, about hiking in Yosemite. I haven't started that one yet. It will be a little tricky, because I have to make sure not to duplicate anything that appears in the other books. After that, I'll combine the four books into the omnibus. I hope to have all these ready in January or February. 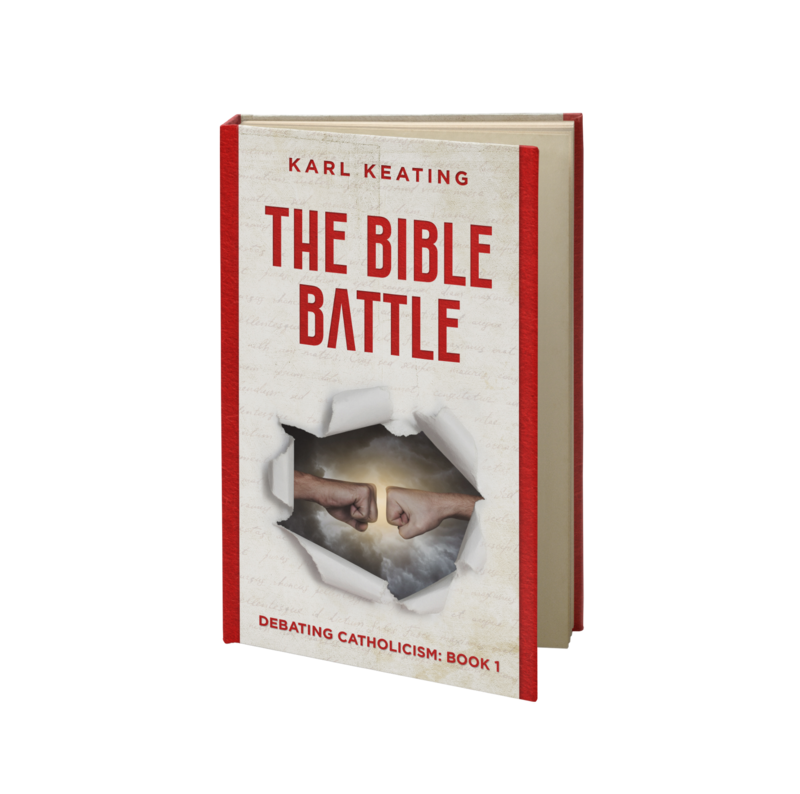 The Bible Battle is the first book in the four-book series of debates I was in. My opponent in this debate was Peter S. Ruckman, often styled the king of the King James Only movement. He didn't just argue the Bible-alone position. He argued that KJV-alone position on top of it: a real Christian, he said, would use only the KJV, not some later translation. The Bible Battle, like the other books in the series, is available for just $3.99 in the digital version. That's the price of a hamburger—but the book is much more filling! The paperback version is only $5.99. Can you read a 310-page book in 90 minutes? Neither can I. No one can, at least not with comprehension. But that's what some reviewers claimed they did when I came out with The New Geocentrists. My book refutes the notion—popular with some Catholics and Protestants—that the sun, planets, and stars revolve around a stationary Earth. Proponents say this idea is demanded by a literal reading of the Bible. I explain why they're wrong, both biblically and scientifically. Friends of the chief Catholic geocentrist knew my book was coming out. They were ready. Within two hours of its appearance at Amazon they posted a spate of one-star reviews. Of course, they hadn't seen the book. They just "knew" my position had to be wrong, so they wrote accordingly. But judge for yourself.